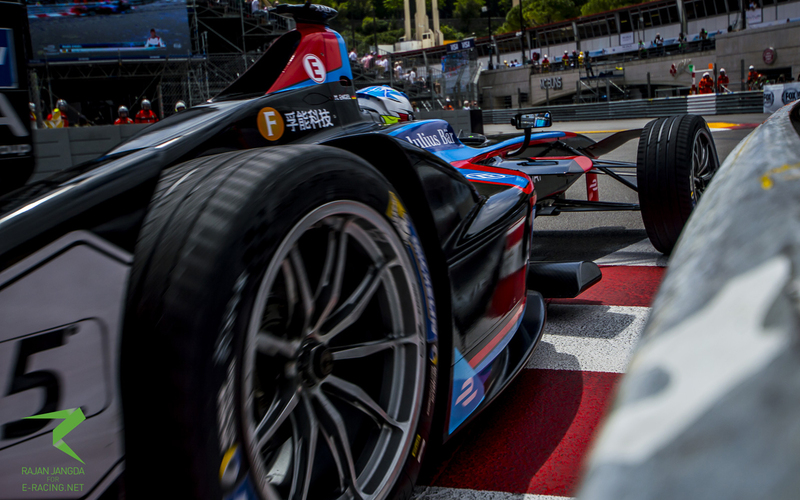 Monaco is a special place for Venturi Formula E as they are racing on home soil. On the glamorous Cote d’Azur, the Monegasque squad was able to set a few shining highlights and especially Maro Engel was able to impress. What a weekend for the Venturi Formula E squad: the Monegasque team started the day with rather mixed results for their two driver Stephane Sarrazin and Maro Engel. Especially the latter seemed to struggle to find his rhythm in the challenging street canyons of Monte Carlo, retrieving himself mostly at the end of the pack. This changed in qualifying, though, where the Monegasque per choice put in a fantastic lap and secured P5 on the starting grid. Starting the race from P5 and P11, the local heroes were hoping for good championship points and while Engel was able to keep his cool, Teammate Sarrazin experienced a turbulent first lap and fell to the back of the field. The Frenchman tried his best to recover and was slowly making his way through the field, but P15 was the best he could do due to the very tight nature of the track. Nevertheless, the team still had a reason to smile as Engel scored ten important points for the championship. It has not been Stephane Sarrazin’s weekend. After promising performances in the practice sessions, the Frenchman was able to secure P11 in qualifying. 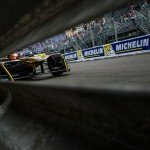 While not being able to match his teammates performance, P11 still generated high hopes for his first points ever since the Hong Kong ePrix. Nevertheless, the Frenchman was unlucky at the start, losing lots of positions and was faced with the task of working his way through the field from the back. His convincing performance was sadly not enough to secure a result better than P15 due to the rare overtaking possibilities on the streets of Monte Carlo. Maro Engel experienced his best weekend in Formula E so far. The Monegasque per choice seemed to have a hard tme on the challenging track at first, but improved his performance just in time for qualifying, securing a fantastic fifth place on the grid. In the race, Engel kept his cool and was able to regain P5 following the collision between Nelson Piquet JR (NextEV NIO) and Jean-Eric Vergne (Techeetah). 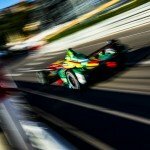 Thus, the German secured the first championship points for Venturi Formula E ever since the Hong Kong ePrix.